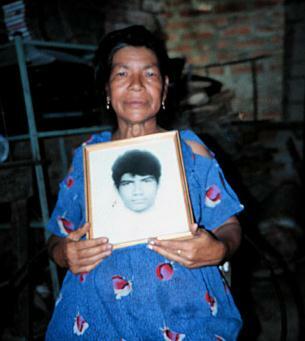 A woman holds a picture of her son, a union organizer who was disappeared by the police in 1990. 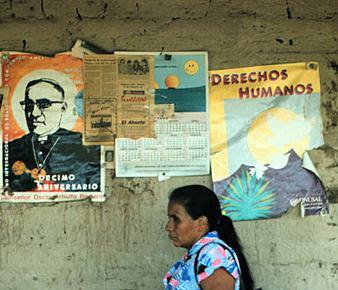 An organization of women whose family members have been disappeared or killed by government forces or death squads. 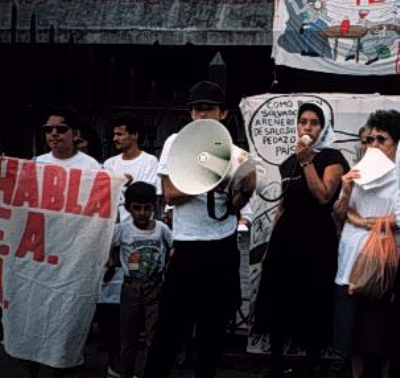 Marta Salmeron speaking at a demonstration in 1990. 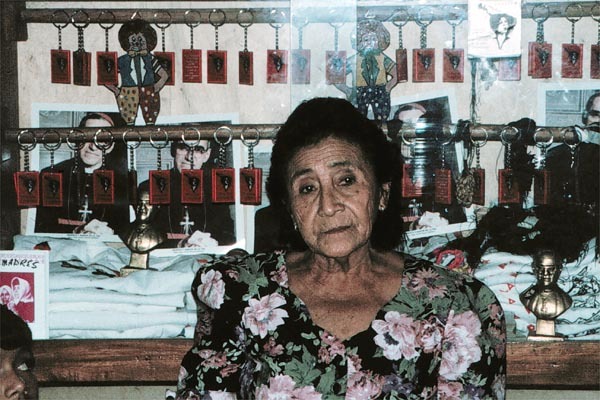 Antonia, one of the original founders of COMADRES. 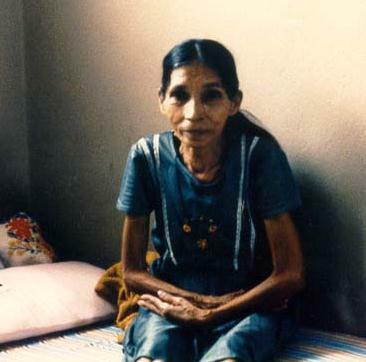 She's been arrested and tortured several times, and several family members have been killed. Maria, another of the original COMADRES outside a local COMADRES site. A demonstration in front of the Igesia del Rosario on behalf of a group of detained peasants. 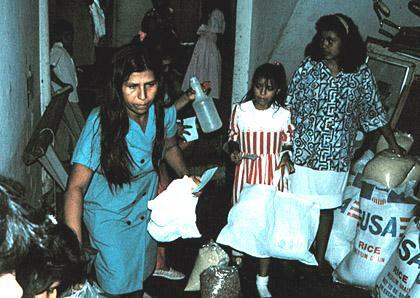 Distributing food at the COMADRES office. 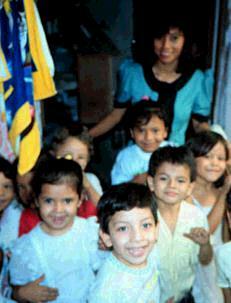 Children at the COMADRES daycare center. This woman, 36 years old, had been detained at the women's prison in llopango for 2 years, allegedly as a supporter of the FMLN. In reality, it was because she refused to become the mistress of an army officer. She died shortly after this picture was taken. 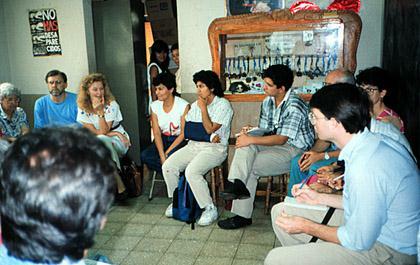 A delegation from a California church at the COMADRES office, listening to their testimony.